Financing > Are you an exporter? Your company is growing, you want to get close to your clients or take your first steps in a market by developing a subsidiary in another country? You happen to take over a foreign company, or buy into that company? You are perhaps considering going international? Whatever your international project, SOFINEX will attend to the financial details, end to end, through arranging loans (in various forms), even including a capital shareholding. SOFINEX will contribute up to but not more than half of the total budget to be mobilized within the scope of the project. 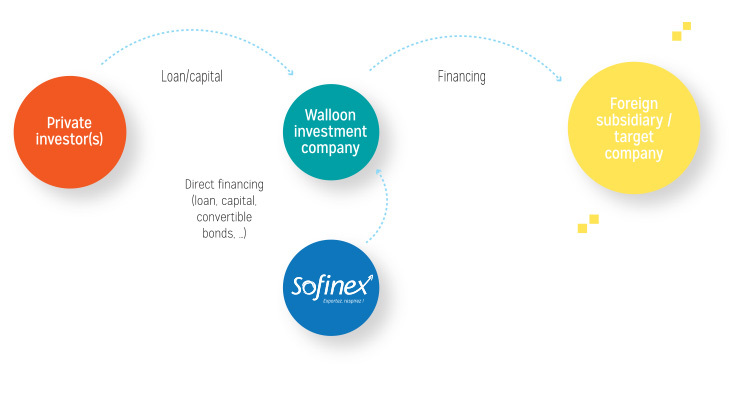 regardless of their size, all eligible Walloon companies may benefit from aid from SOFINEX. By contacting us direct to outline your project or business plan. Company x makes metal-fibre reinforced concrete floors. It is considering setting up a subsidiary in Australia. Its objective? Creating local jobs. The total project budget is 2.5 million euros. Company x drums up a loan of 1 million via the banks. Through its friends and acquaintances, company x drums up a further 1 million. 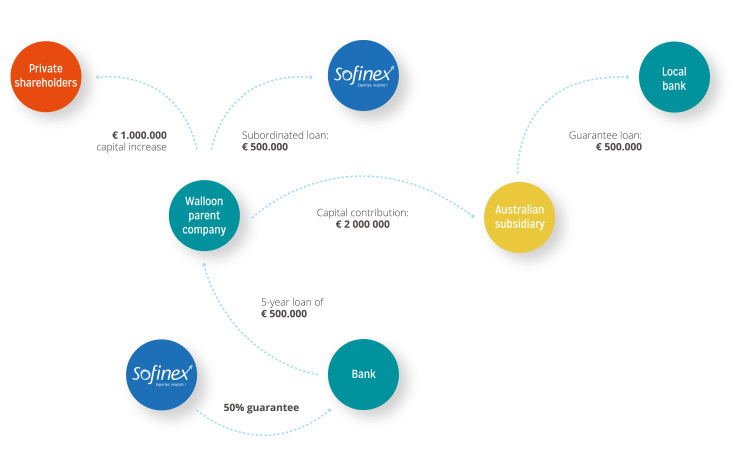 To bridge the gap, company x enlists the services of SOFINEX, which grants a loan of 500 000 euros and places a guarantee in the order of 50% bank loan cover (Belgian bank).